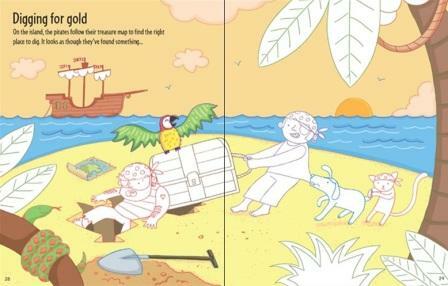 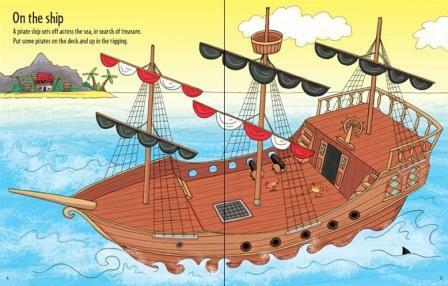 Join a jolly band of pirates as they sail the high seas in search of treasure in this fun activity book. 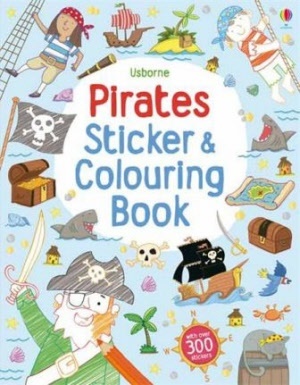 With over 300 stickers and lots of colouring opportunities to bring the pirate scenes to life, including below the decks, a pirate feast and finding buried treasure. 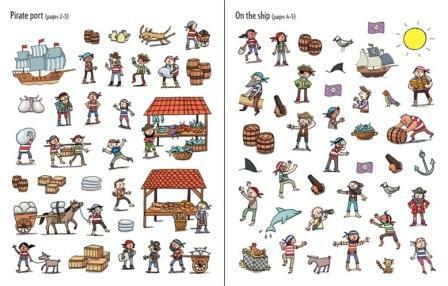 A great value activity book with heaps to spot and tell stories about.